Industrial Air Curtains – Our ambient air curtain uses the air of the room to create a barrier at the opening of the door. It is made of fans and an efficient diffuser. The range consists of 2 models a 1.5 meter and a 2 meter long unit or module . 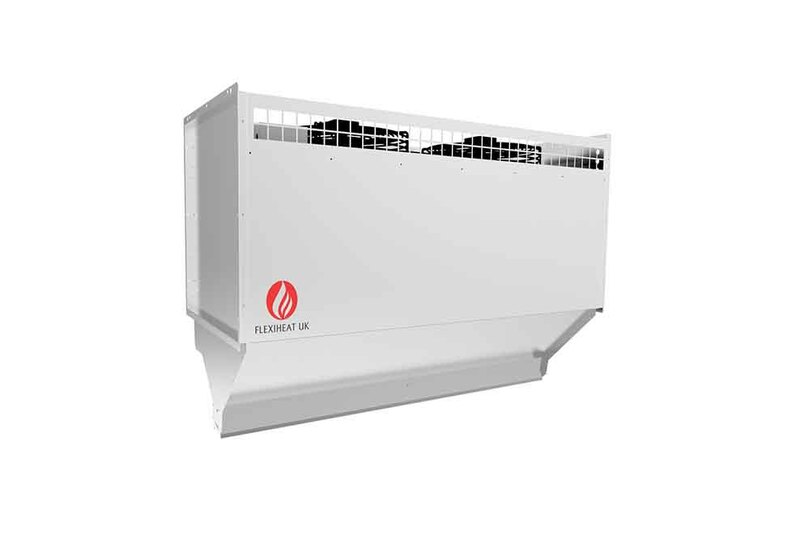 These industrial & commercial air curtains are used to protect the doors up to 7 metres maximum in height horizontally or 6 metres in height vertically and can be installed horizontally or vertically to suit your site requirements. Flexiheat ambient air curtains – the” FHIAC” series protects against uncontrolled incoming airflow. It helps to save energy by delivering a powerful air barrier across the entire width of the doorway. We now have developed a new and improved industrial and commercial air curtain, which uses the ambient air , that can now be mounted up to 7 metres maximum in height horizontally. 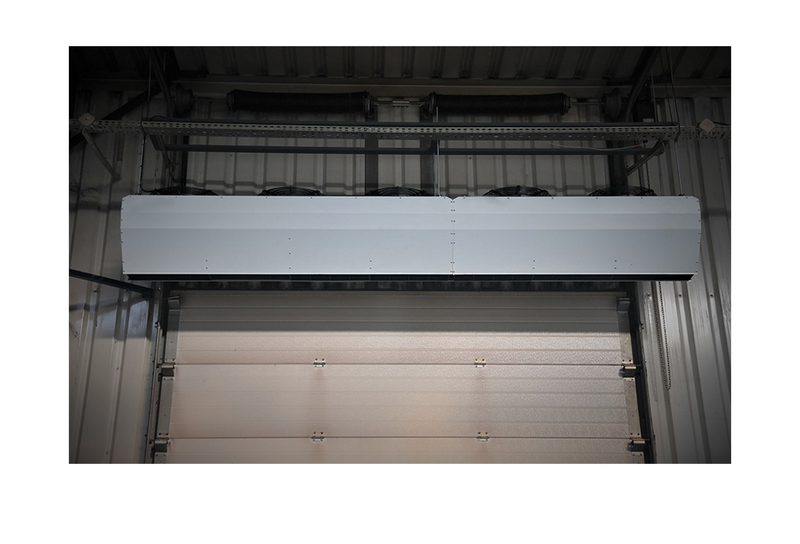 just like the standard range the units can be used in different combinations of lengths to cover roller shutter doors that are 6 metres wide in a commercial or industrial air curtains for overhead doors or 6 metres high in a vertical air curtains configuration. There are two models or modules of these ambient air curtains, the first is a 1.5 Metre long unit and the other is a 2 Metre long unit. They are basically modules that can be coupled together to make up your desired width or height for your industrial or commercial overhead roller shutter type door. Against cold air, pollution, etc. If you require an air curtain for cold storage, then we have solution for you. The “FACA” range of Industrial and commercial ambient air curtains consists of 3 models from 1 meters to 2 meters. These industrial & commercial air curtains are used to protect the doors from 3 to 6 meters in height and can be installed horizontally or vertically. 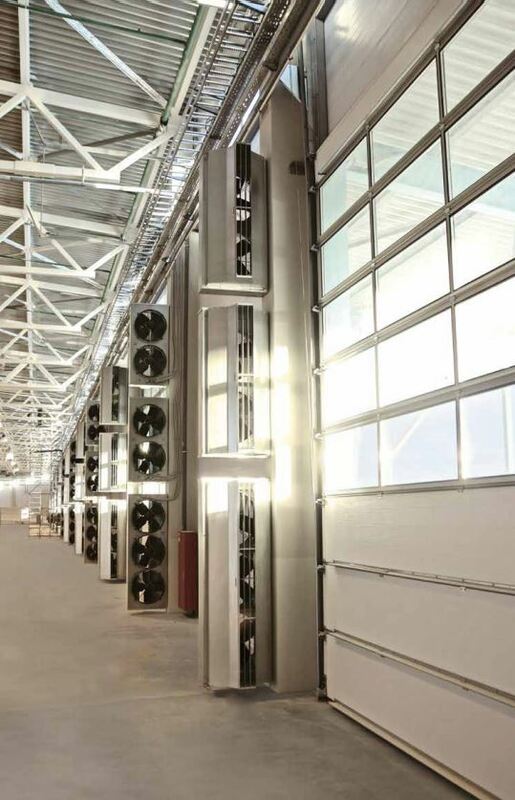 Flexiheat ambient air curtains – “FACA” series protects against uncontrolled incoming airflow. It helps to save energy by delivering a powerful air barrier across the entire width of the doorway. These ambient air curtains are situated to the side or above industrial doorways and create a powerful barrier across the opening keeping heat in whilst providing total visibility and access. 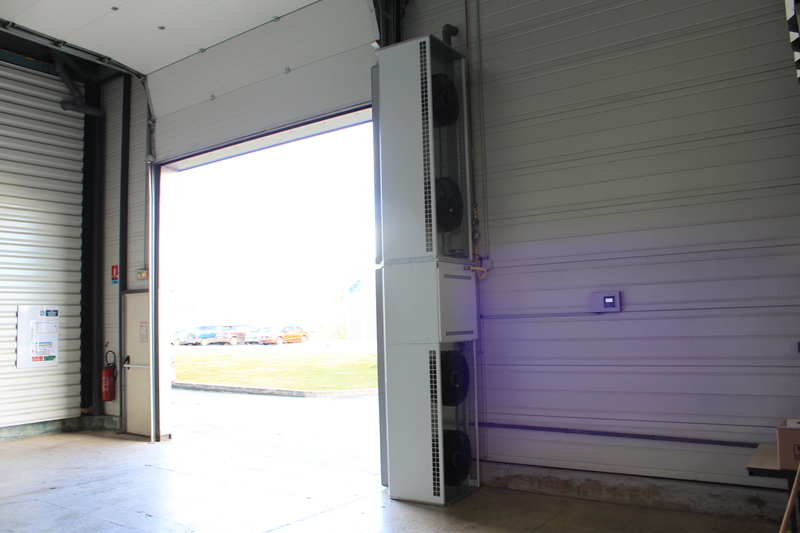 These industrial & commercial air curtains are ideal for use on loading bays, warehouses, hangars or factories, saving forklift drivers time as they don’t have to get out of their cabs to close and open doors , and make moving from one area to another safer and more convenient. Unlike plastic slat curtains, which quickly become opaque with use, an air curtain provides 100% visibility at all times.